Please look in the specific sport's page. TCHS Varsity, JV, and TCMS basketball schedules have been posted. Please check this site under the appropriate area. ​All TCHS Basketball Parents are asked and have been scheduled to work a shift(s) during the 2018-19 season. You will not work during your child's game. Parents of the girls will work during the boy's game and parents of the boys will work during the girl's games (jv and varsity have same set-up). The schedule is posted below. If you cannot make your assigned day/time, it is YOUR responsibility to have someone swap with you. Please make necessary changes on the schedule posted inside the concession stand. Without you and your assistance, the success of the concession stand would not be possible!! Reminder: All Athletes must have a current physical, parental permission (insurance information), athletic contract, and GHSA concussion form for the 2018-19 school year. All of these forms are found under the "Athletic Forms" tab located at the top of the page. You will have to have new paperwork on file before any camps, practices, or any type of summer games, etc. Please see your coach or see Coach Melton for more details. Great jobs by both teams and Coach Rosser! Good luck Lady Indians at State!!! Region 8A Baseball Player of the Year. Congrats to Will DeVries for being named 2nd Team All Region Basketball. Congrats to Will DeVries for scoring his 1000th career point in the Region Semi-Finals vs Lakeview Academy. Blaine Rogers also placed 5th in his weight class at the State Tournament. Congrats to Kaine, Nick, Blaine, Coach Stowers, and Coach Rowland for a great season! Congrats to Russell Cox for his scholarship to Point University to continue his football career. Congrats to Jackson Taylor for his scholarship to Cleveland State to continue his baseball career. ​Congrats to Kenzie Jenkins for signing a scholarship to continue her Golf career with the Truett-McConnell College Bears! Congrats to Kenzie Jenkins for qualifying for the State Tournament as an Individual Girls Competitor!!! coaches continue to make us very proud. 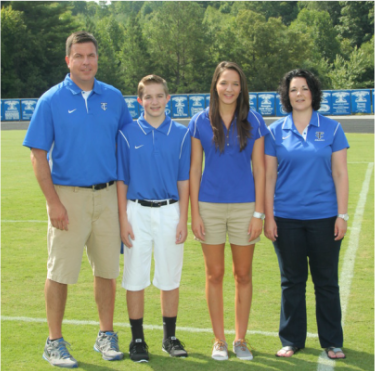 This website is created for you by Lesleigh Irvin and Elizabeth Turner, maintained by TCHS Athletics.